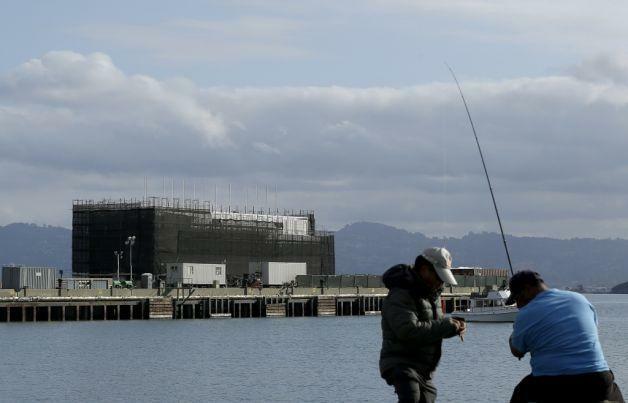 New leaked documents from Turner Construction Co.—which allegedly helped build Google's mysterious barge off the coast of San Francisco—may finally explain once and for all what the search giant is up to. Obtained by SFGate, the documents describe a trio of "floating retail stores" docked in SF, LA and NY. Each barge is reportedly made up of 80 stacked shipping containers with a row of sails along each side "reminiscent of fish fins," which will apparently only serve an aesthetic purpose. Based on these latest leaks, the three barges would allegedly be open to the public as a place to buy new Nexus devices and Chromebooks. The floating stores could also serve as a showroom for Google Glass, which is what Google representatives apparently told the local government, SFGate reports. Responding to today's leak, Google remained vague on what purpose the barges will serve, telling SFGate they will be used "as an interactive space where people can learn about new technology." Whether that means a trio of flagship stores open to the public, or an invite-only showroom where investors and the elite can try out Google Glass and other futuristic product is unclear. The company can't keep its barges shrouded in mystery forever, but we don't expect an official announcement from Google on this project any time soon.